From the beach to the campsite and from the garden to the open air swimming pool – there’s lots of fun to be had in summertime. And it’s even more fun if you go for the BED & BREAKFAST option! 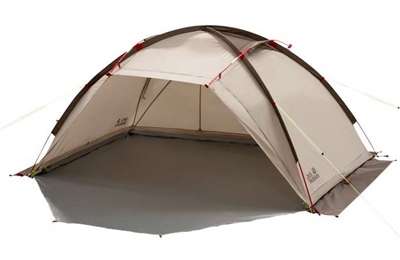 This innovative 2-in-1 tent is a beach shelter and dome tent in one. A brilliant idea! Because when children are past a certain age, a beach shelter becomes superfluous. They can then have this little tent all to themselves. With its classic dome design, this tent is child’s play to pitch and fully prepped for adventures down by the river or for summer holidays. It also works as a mobile sun shade and can be pitched on the beach using sand bags or sand pegs.